Antarctica’s Blood Falls could be home to microorganisms similar to alien life on Mars. New data shows that beneath McMurdo Dry Valleys, earth’s coldest and driest place, lies salty water that may support previously unknown ecosystems. “These unfrozen materials appear to be relics of past surface ecosystems and our findings provide compelling evidence that they now provide deep subsurface habitats for microbial life despite extreme environmental conditions,” the study’s lead author, Jill Mikucki, an assistant professor of microbiology at the University of Tennessee, was quoted as saying. It’s hoped that the new data might shed light on whether similar conditions exist elsewhere in the solar system. The Dry valleys ecosystem – home only to microscopic animal and plant life – closely resembles, during the Antarctic summer, conditions on the surface of Mars. “Over billions of years of evolution, microbes seem to have adapted to conditions in almost all surface and near-surface environments on Earth. 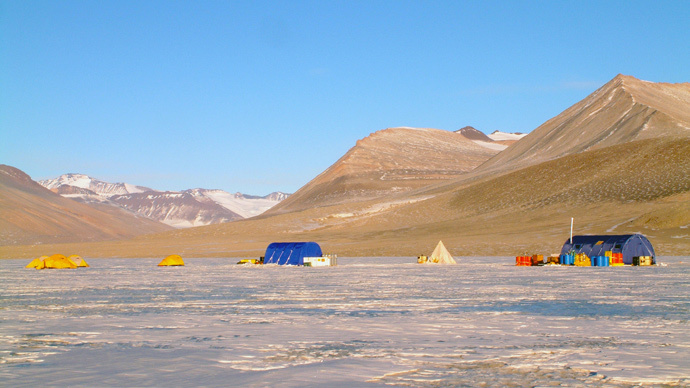 Tiny pore spaces filled with hyper-saline brine staying liquid down to -15 Celsius may pose one of the greatest challenges to microbes,” a glaciologist and coauthor at the University of California, Slawek Tulaczyk, said. Researchers think it’s possible that nutrients from microbial weathering in those deep brines affect near-shore biological productivity in the ocean. 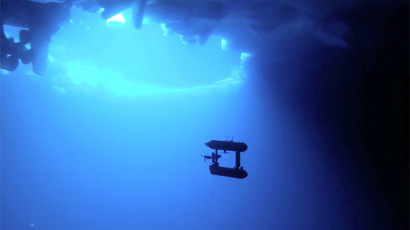 Meanwhile, the vast majority of Antarctica’s coastal margins remain unexplored. This entry was posted on April 29, 2015 at 7:50 pm and filed under What's going on?. You can follow any responses to this entry through the RSS feed.